A Salvador car rental gives you the opportunity to go where you want, when you want. You can explore all the sights, and even find out what else the rest of the region has to offer. 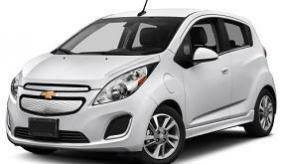 CarRentals.com has gathered your most popular questions about renting a car in Salvador. Find out the dos and don'ts of booking a rental car. Where can I find a great deal on a rental car in Salvador? These tips can help you save even more on your next car rental in Salvador. What rental companies have outlets in Salvador? We have around 7 rental companies to choose from in Salvador. You'll find some of the best companies, like Sixt. Look through the reviews to get an idea of which one meets your needs. 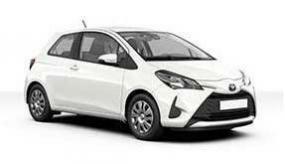 What types and makes of rental cars are on offer in Salvador? What's the age requirement to rent a car in Salvador? Usually, to rent a car in Salvador you must be at least 21—the same as it is across the rest of the country. If you are under 25, you might also need to pay a surcharge. Be sure to read the terms to discover what the exact rate will be before you book your rental. Will I need insurance to get a car rental in Salvador? Insurance is mandatory, no matter where you're renting a car. However, your current car insurance may cover you. Additionally, if you pay using your credit card, the card's benefits may also insure you. Keep in mind, those policies may not provide 100% coverage, and you'll need to add it to your booking for Salvador. Look into it before you book and, if it is required, you can conveniently add it at checkout. Many rental car suppliers offer a range of fuel policies. However, full-to-full is our stand-out choice. It simply means returning the car with the same level of gas as you got it with, so you'll never pay for anyone else's road trips through the Salvador. Should I get unlimited miles when I rent a car in Salvador? Unlimited miles is a good option if you plan to do a little sightseeing or visit a lot of clients all over Salvador. You can drive wherever you like and not incur extra charges. Be sure to read your policy to find out if there are mileage restrictions. You know you can depend on a wonderful car that will leave you with extra cash to spare when you reserve your Salvador rental car with CarRentals.com. Book today to cash in on cheap deals on your ideal Salvador rental car. We'll see you out here.